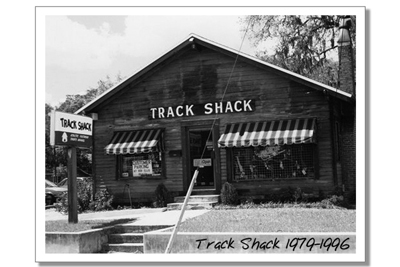 ORLANDO, FLA.– Track Shack, a local specialty running retailer, has been recognized for the fourth time as one of the ‘50 Best Running Stores in America’ by two leading trade and consumer publications Running Insight and Competitor Magazine and received the award at The Running Event ®, a running industry conference in December 2012 in Austin, Texas. Track Shack took its place among the country’s elite retailers following an extensive nomination and review process throughout 2012. 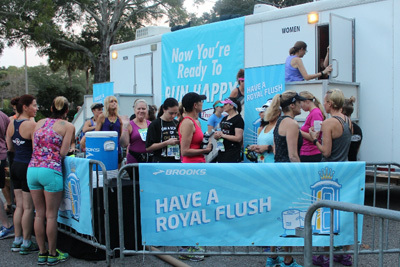 The process of compiling a list of the top 50 running shops in the country began early in 2012 when Formula 4 Media, with the help of Competitor Magazine, began to collect and evaluate nominations from runners, soliciting feedback from consumers on their favorite running stores. More than 150 stores received nominations. A panel of industry experts from Franklin Resource Group mystery shop nominated stores to evaluate on 20 different aspects of retailing, including product knowledge, environment and community involvement. Track Shack celebrated their 35th anniversary in 2012 and celebrates their fourth time being recognized as one of the ‘50 Best Running Stores in America.’ “Running stores are so critical to the growth of the sport and the business and deserve to be recognized for all they do,” said Doug Kaplan, Senior Vice President at Competitor Group. Supporting this program is one of the most important initiatives we do all year. Run specialty stores’ role in expanding running participation is good for everyone involved in the running business, not to mention the benefits it has on America’s health." A special report on The 50 Best Running Stores in America appeared in the December issue of Competitor Magazine. For more information on The Running Event or The 50 Best Running Stores in America Awards, contact Mark Sullivan at 646-319-7878 or msullivan@formula4media.com. For more information about the Competitor Group, visit www.competitor.com, or contact Doug Kaplan at 312-421-1551 or dkaplan@competitorgroup.com.